A great tool for professionals in the cable TV industry as well as in telecommunication. 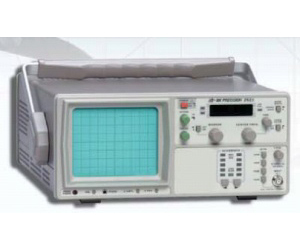 It is a value packed service tool for signals up to 1.05 GHz. All three models are suitable for pre-complaince testing during development prior to third party testing. An optional near field sniffer probe set (PR 261) can be used to locate cable and PC board emission "hot spots" and evaluate EMC problems at the breadboard and prototype level. The spectrum analyzer/sniffer probe combination is an excellent solution for RF leakage/radiation investigation, CATV/MATV system troubleshooting, cellular telephone/pocket pager test and EMI diagnostics.